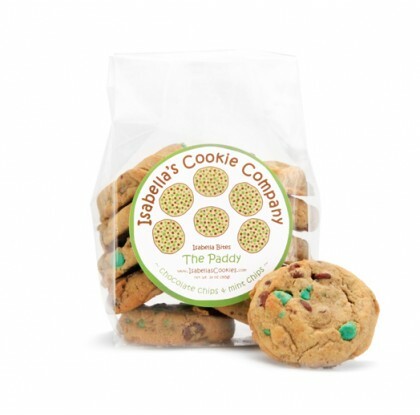 Unbleached Wheat Flour, Chocolate Chips (Sugar, Chocolate Liquor, Cocoa Butter, Soy Lecithin, Vanilla), Butter (Cream, Salt), Mint Chocolate Chips (Sugar, Palm Kernel Oil, Whey, Nonfat Milk, Mono and Diglyceride, Soy Lecithin, Natural Mint Flavor and Natural Green Vegetable Color), Brown Sugar, Sugar, Eggs, Vanilla, Salt, Baking Soda. 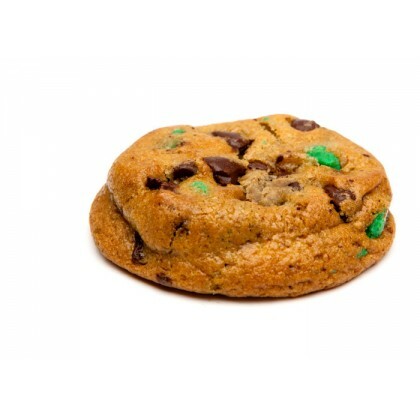 Watch out Girl Scouts! 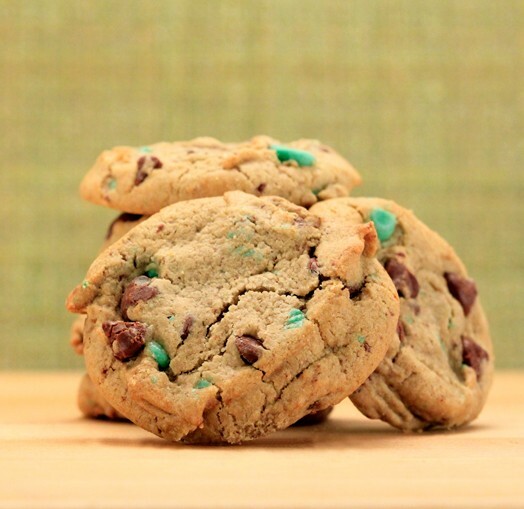 This simple recipe is crammed with semi-sweet chocolate chips and green mint chips. 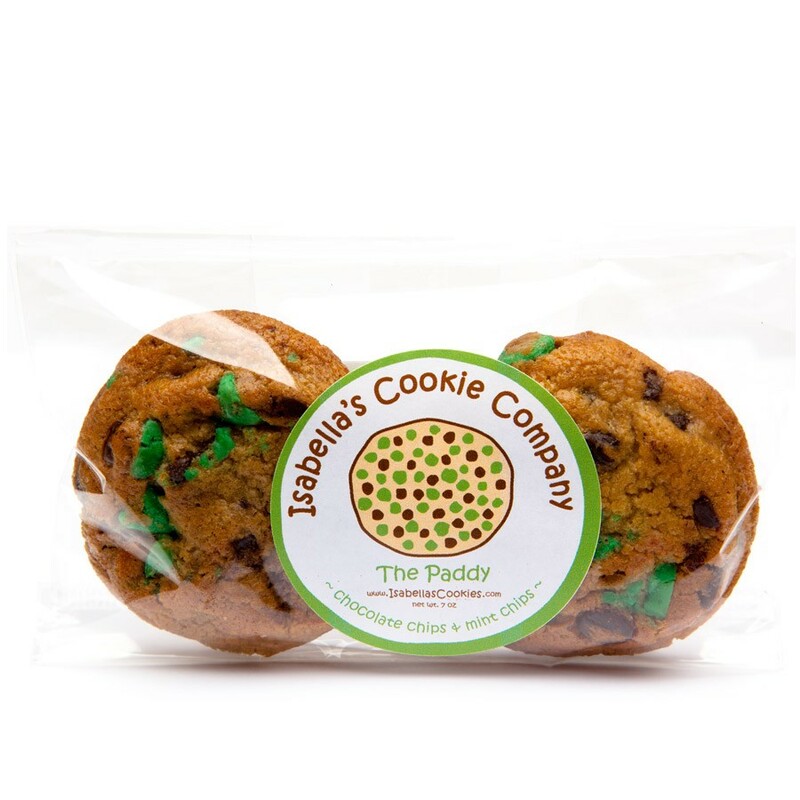 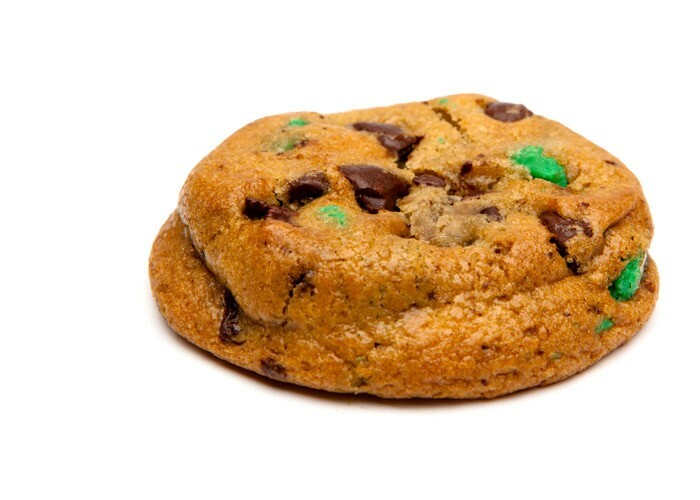 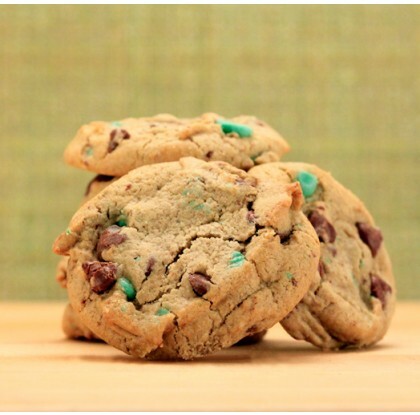 If you LOVE mint, then this cookie is perfect for you!